Location: 35km SE from Joensuu by tarmacked road with gravel roads across the licensed area. 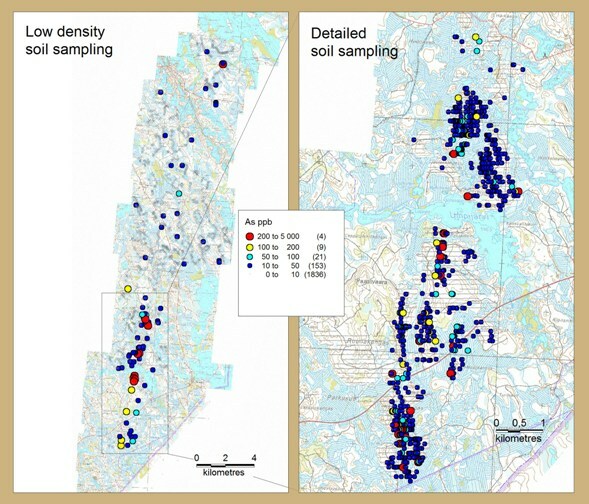 Geological setting: preferable geological position in the Hattu-Ilomantsi greenstone belt.License areas are the part of Karelian Gold Line.On February 8th, 2011, 25km north of the license area, Endomins Oy started gold mining operations on the Pampalo deposit. Field work results: during 2009-2010 MEN Finland carried out an extensive field work in Paasivaara license area. As a result a new intensive geochemical anomaly was discovered. The estimated size of the sulphide mineralization zone boundary is 400 – 600m x 5km. 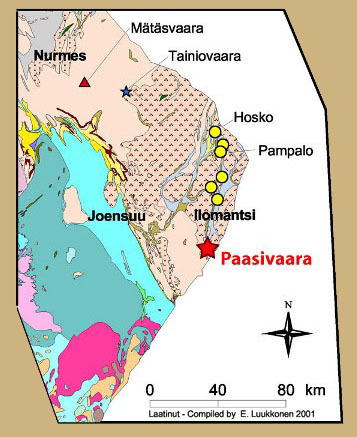 Exploration Potential of the area including Viinivaara – 0.5 – 1.5 Moz of gold.